1. 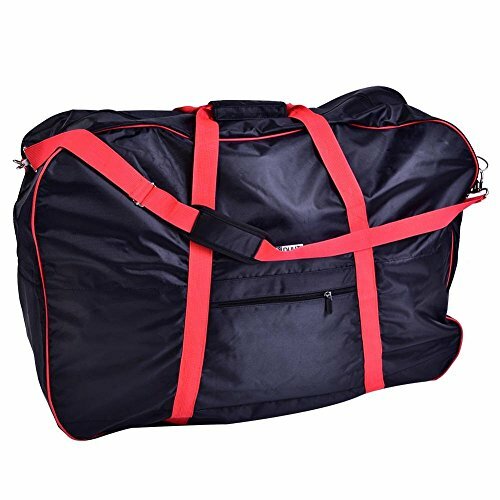 Convenient as it is to have a bicycle bag, no matter take a car, go upstairs, travel, or go to work. 2. The bag can be put in the car to avoid the collision between the bike and the car and to make the car trunk cleaner. 3. Two handles extend to the bottom of the bag, increasing the overall strength of the bag. 4. With a shoulder strap, you can carry it in your hand or carry it on your back. 5. Suitable for 14-20 inch folding bicycle, overall generous and concise with fine work.